One of the most popular versions of poker is Texas Holdem. It is important to know how to play Holdem Poker to increase your chances of winning. While there is some luck involved, a good player can win over bad ones most of the time. You can play Holdem Poker as Pot Limit, No Limit, or Limit, depending on the gambling software. Pot Limit allows you to raise up to the current amount in the pot. 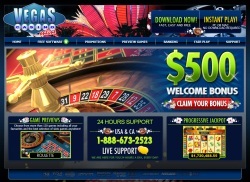 Limit games allow players to wager up to a predetermined amount. In No Limit, a player can go all in and bet every chip he has. The rules of Holdem Poker are simple and only require a couple of minutes to learn. Here are the basic rules that you need to know. The dealer deals two cards faced down to each player. These cards are called hole cards. Once all players have two cards, the betting stage will follow. When it is your turn, you can Fold, Check, or Fold. At this point, the game is at the pre-flop phase. Once the betting ended, the dealer places three cards faced up on the table. These cards are the flop. After the flop is another betting phase. Then the dealer deals another card in the middle, known as the turn. Another round of betting starts after the turn. Then the dealer places a fifth card, known as the river. Remaining players will conduct the last round of betting. Your Holdem Poker hand is the combination of hole cards and the five cards on the table. 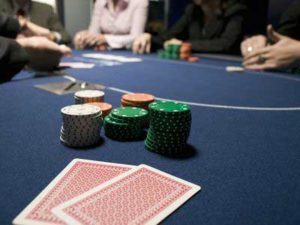 It is important to know the poker rankings so that you know the best possible hand you can make from the available cards. A game can have two results. The first scenario is to win with the best hand. In addition, the game can end when every player folds except for one. In some instances, the winner doesn’t even have the best hand. This is how to play Holdem Poker. You can check our gambling tutorials page to learn ways on how to play games, bet on sports, and more.